Ready to unwind? A variety of day spas located in and near Albany NY, are available to help you relax and rejuvenate through a wide variety of spa offerings, from massage therapy to mani-pedis. Whether you just need some simple pampering and an hour's respite from the busy world, or you want to get a full day's worth of treatments, these local spas will provide a relaxing atmosphere and professional staff and clinicians, all trained to do one thing - make you feel beautiful inside and out! Browse the below listing, pick a favorite (or three) and make an appointment today, You deserve it! The professional staff at Kimberley's wants to help you achieve inner balance, relaxation, and beauty through its array of services. Offerings include spa packages, facials, manicures/pedicures, and body treatments. 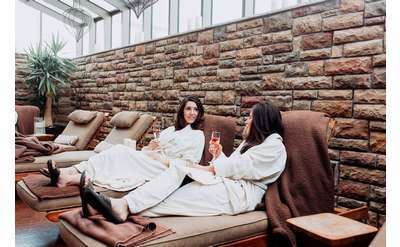 You'll find that Spa Mirbeau is more than just a spa. Enjoy a variety of treatments, from massages and facials to body treatments and manicures/pedicures. There is also a boutique and a bistro serving light fare on-site.